The Borg Party returns to The Station for a 3rd Straight Year! Brace yourself for 2 face-melting sets! 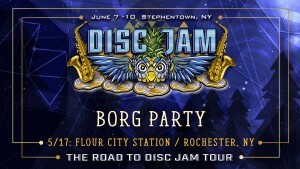 This goes down just in time to get in the spirit for the Disc Jam Music Festival! This show features artists from this year’s festival, and festivals past.